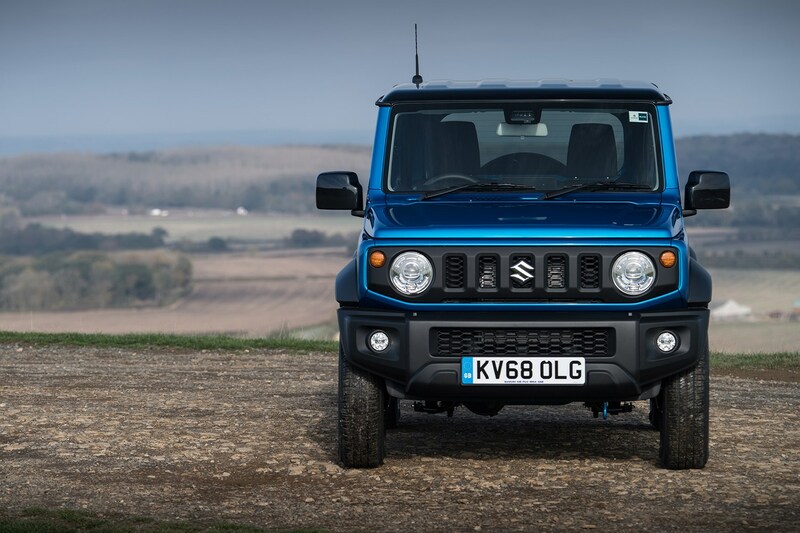 The 2019 Suzuki Jimny ousts its predecessor that had been on sale in the UK since 1998. That makes it one of the longest-running continuous sales runs of any vehicle in recent times and indicates just how successful the formula was. This small, go-anywhere and uncompromised off-roader is now in its fourth generation (the first was launched in 1970) and has off-roading capability most small SUVs can only dream of. However, the 2019 Jimny adds now-vital extra technology in the form of updated multimedia and safety kit, although the effectiveness of the latter suggests Suzuki has work to do. There’s a larger, more powerful new engine, a selectable four-wheel drive system, lots of go-anywhere equipment and a simple trim line-up. But under the skin, it retains its simple ladder chassis, which makes this pint-sized Land Rover Defender alternative a truly focused vehicle – where off-road ability takes precedence over on-road comfort and handling. Direct rivals are thin on the ground, with the closest being the larger Dacia Duster, but even then, this is a far more on-road type of car than the plucky little Jimny. Other cars on your list could include everything from a used Land Rover Defender to a Jeep Wrangler or even a secondhand Skoda Yeti. There is just the one engine in the Jimny line-up for the UK: a 1.5-litre petrol that does without any form of emissions-lowering or performance-enhancing turbocharging technology. It's an honest powerplant, which delivers decent power and drivability in most off-road situations, but it's far from the cleanest option available out there. It’s for that reason the Jimny is almost impossible to recommend to most company car drivers, since its CO2 output of 154g/km in its more efficient manual gearbox specification means benefit-in-kind tax will be very high for a car of this size and performance. Having said that, most Jimnys will either be working vehicles, or second cars. With the standard-fit five-speed manual gearbox – available in both SZ4 and SZ5 trims – this 101hp/130Nm motor makes for a 0-62mph time of 12 seconds (still to be confirmed by Suzuki) with a top speed of 90mph. On top-spec SZ5 cars you also get the option of a four-speed automatic gearbox, but top speed drops to 87mph and we’d imagine the 0-62mph time will suffer too. The Jimny’s adequate on-road performance figures don't do justice to how it feels on roads, though. 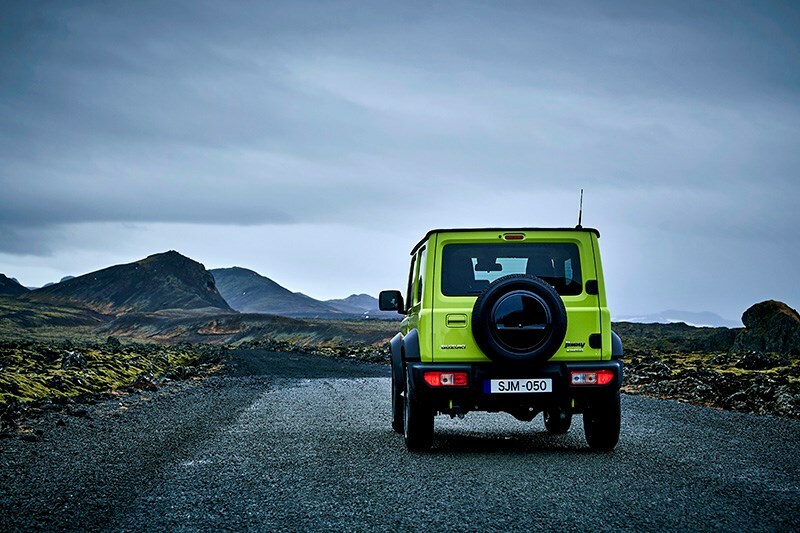 They also serve to disregard one of its main talents – it’s a formidable go-anywhere machine. At a very basic level, the Jimny has been designed to perform well when the going gets tough. Its ladder-frame chassis means it has impressive axle articulation, great for dealing with challenging terrain. The suspension is coil-sprung all-round, and the brakes are used for the Hill Descent Control system, and to simulate a limited-slip differential. But there’s plenty more the Jimny's capabilities than these figures alone. All versions get a selectable all-wheel drive system called AllGrip Pro. This is different from the AllGrip package for the Suzuki Swift and Ignis where most of the power is ordinarily sent to the front wheels - the Jimny's bias is towards the rear axle. It also features a low-ratio transfer box, which means you’re able to disengage the front wheels when driving on normal tarmac in good conditions for better fuel economy with the former, or take advantage of ‘crawler’ speeds for far more accurate torque application with the latter. 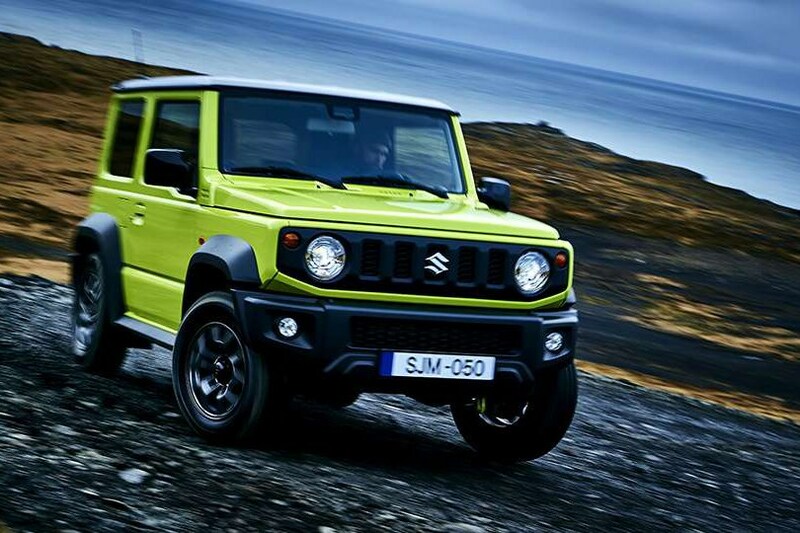 Suzuki Jimny 2019: how does it drive on-road? First thing to say is that you shouldn't expect class-leading dynamics. It has a recirculating ball steering system (which is designed to minimise kickback in off-road situations, and which removes much the way of responsivenss on-road) and large amounts of vertical travel in both suspension and tyres, which conspire to rob the Jimny of steering feel. 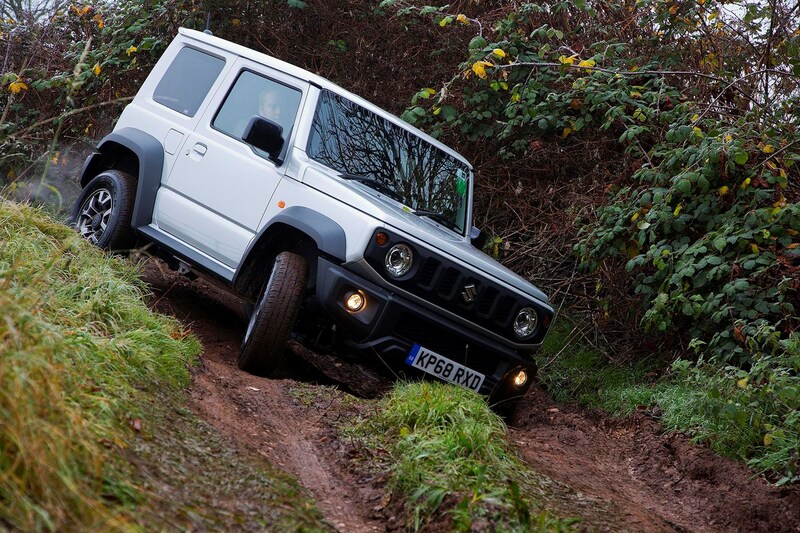 As a consequece, the Jimny takes a bit of getting used to, unless you're used to driving other bespoke off-roaders or classic cars in general. It rolls in corners and at first the steering feels so unresponsive, you might be mistaken into thinking it can't tackle bends at all. You do learn to drive around this and come to accept that it corners tidily, but in a way that doesn't inspire confidence. The performance is far more useful than the on-paper numbers might suggest, with decent enough pulling power up to 40mph. From there on, it can feel gutless, unless you're prepared to dial in lots of revs and make liberal use of its gearbox. Don't be afraid to do that, though, because it revs sweetly, and the long-throw, mechanical-feeling gearchange is a delight to use. For those expecting to undertake multiple long journeys, we'd suggest you look elsewhere. 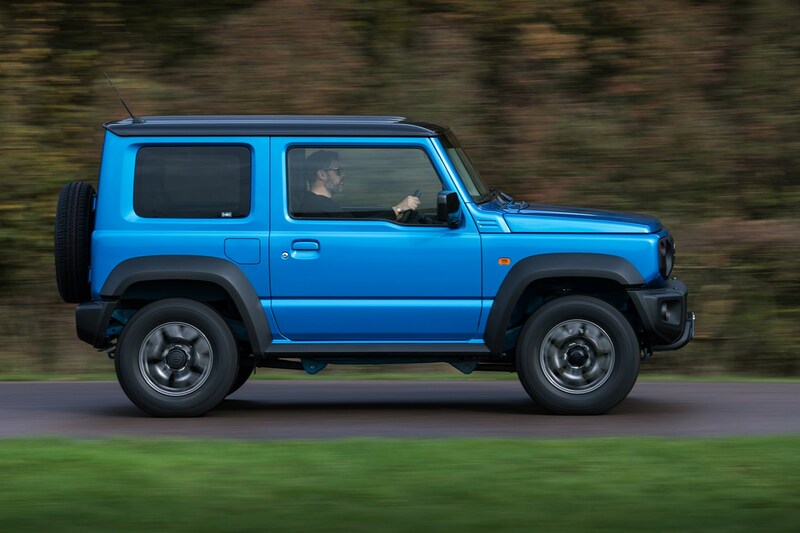 The Jimny will do motorways, but getting to 70mph takes a little time, and with its short gearing in fifth (top) gear, it's spinning at more than 3,500rpm at that speed, and can get tiring quickly. The wind, transmission and tyre noise also add to the general air that this car simply isn't settled at high speed. 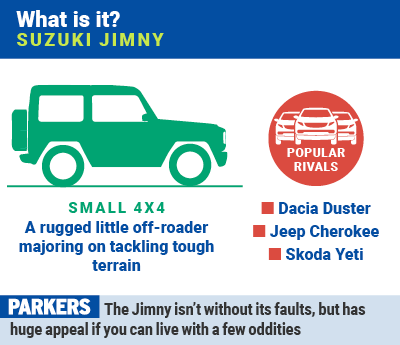 Suzuki Jimny 2019: how does it drive off-road? Here is where the trade-off is for the general unrefinement and lack of steering feel. The Jimny is astonishingly off-road, as have been all previous generations, capable of ploughing furrows that only Land Rover Defender-grade off-roaders can attack with any confidence. Its ground clearance, capacity to break over steep crests and amazing climbing ability combine to make this one supreme off-roader. Given it's lacking fancy diff locks, and our test cars ran road tyres, that's very impressive indeed. We tried it both on a rocky surface with dust and loose soil, and in deep, rutted mud, but still came away wondering if we’d even scratched the surface. Standard Hill-Descent Control and hill-hold systems help, but it’s the low-range gearbox and 4x4 set-up that do the lion’s share of the work here. The low weight makes a difference, too, and on some very boggy, rutted tracks, it never came close to getting stuck or putting the driver in trouble. The Hill-Descent Control, particularly, works very well indeed, proving the effectiveness of the Jimny's new electronic systems. We can’t think of another car of this price that’ll do so well when the going gets tough. 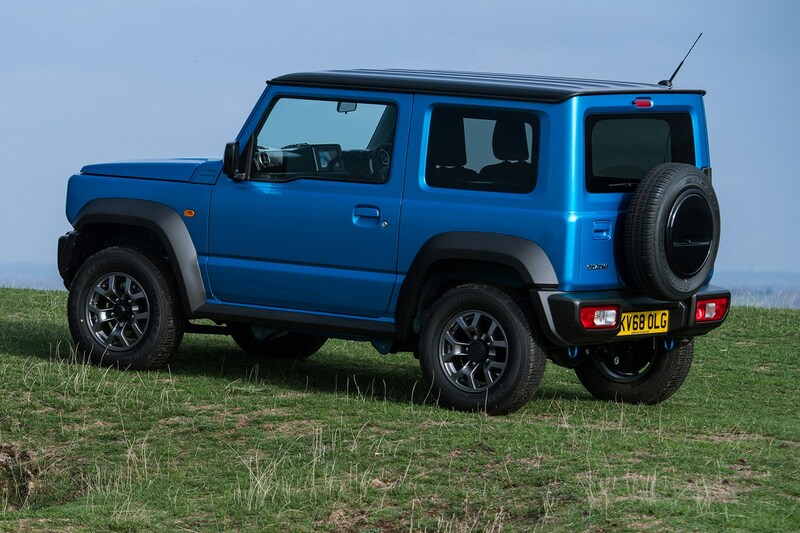 Suzuki Jimny: what’s the cabin like? It’s a reserved design with robust materials, and a wonderful sense of retro – if shiny plastics and scratchy surfaces are your thing. Clearly it’s been built to last, with tough-feeling rubber dash finishing and switchgear made from hard plastics. There certainly a more quality feel to it than in the Ignis, for example, but equally there’s less colour in there to appeal to the aesthetes among you. But we think it perfecrtly chimes with the demands of those looking to buy a Jimny and doubt a lack of slush-moulded plastics are really going to be an issue. We found the 7.0-inch touchscreen in top-spec models responsive enough, but the built-in sat-nav far too slow, and not intuitive to use. The lack of physical buttons is also an annoyance on a car demands touchscreen imputting when the ride is so bouncy. 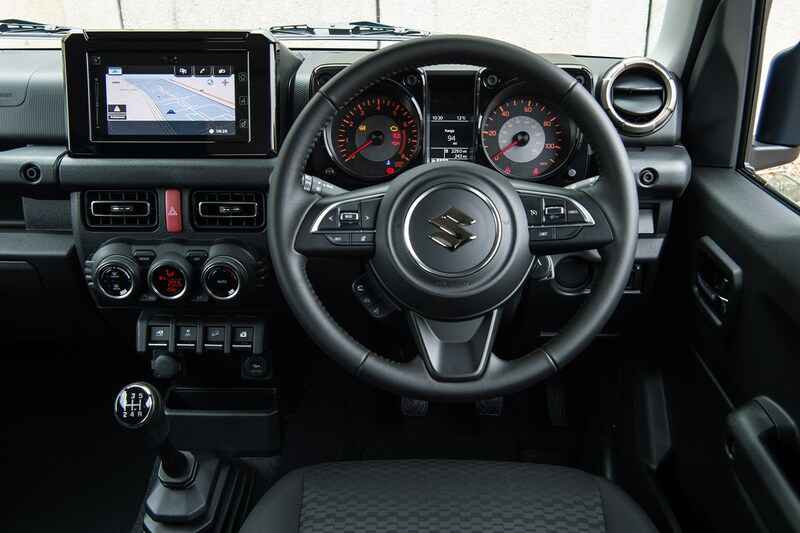 Android Auto or Apple CarPlay can be used, which both trump Suzuki's standard-fit user interface. The Jimny’s square profile may detract from its aerodynamic performance, meaning its emissions are relatively high, but the pay-off is that it’s about as practical as any car of a similar footprint thanks to some clever packaging. Rear-seat room is surprisingly useful, and the fronts will happily accommodate six footers without complaint. Its boot has grown 53 litres over the out-going version, now measuring 377 litres – but only with the rear seats folded away. With the rear seats in place, luggage space is pathetic. 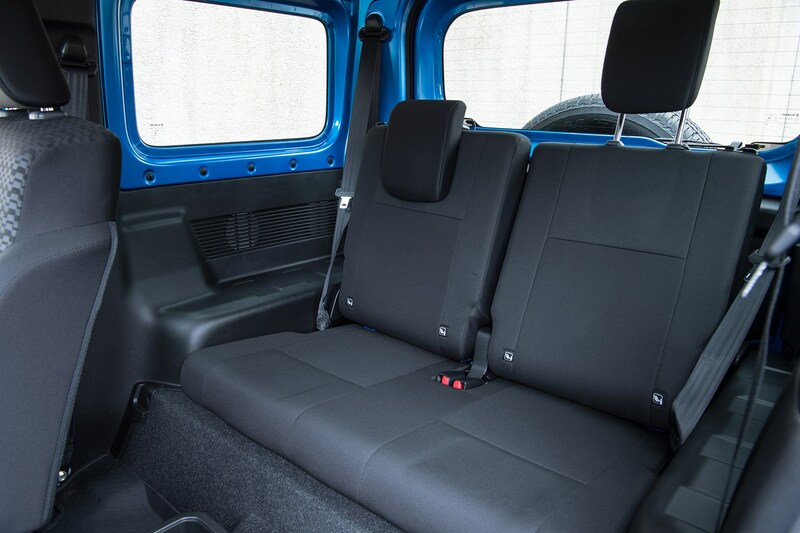 Furthermore, the front seats slide further and can be folded flat for added usability, while the rears not only fold horizontal (if you remove the headrests) but feature a plastic coating, just like the boot floor. 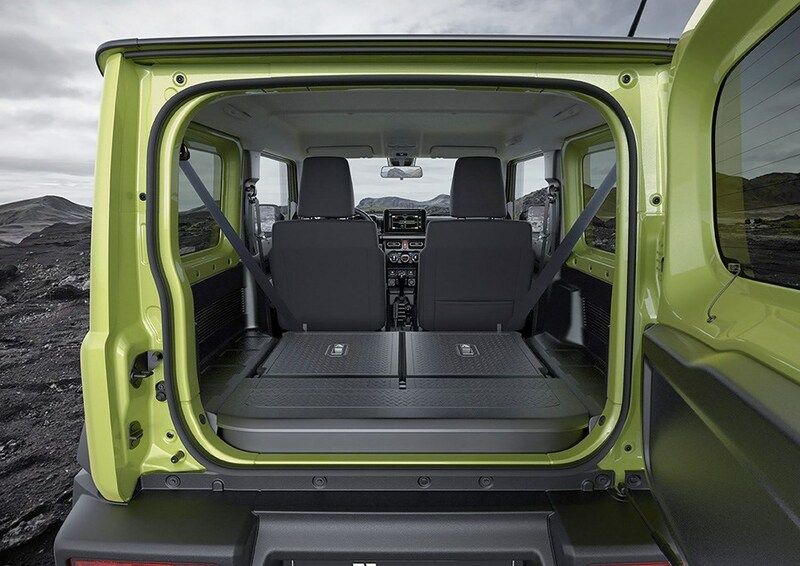 This makes it a pratical propostion for those who enjoy using the luggage area extensively – dog owners will particularly like the Jimny's rear. Even before the Jimny arrived in the UK it was subjected to a Euro NCAP crash-testing programme, with poor results. Overall it scored a three-star rating, constrained particularly by its low scores for vulnerable road users and safety assist systems. It did perform better for occupant protection, though, seemingly being a better car to travel in as a child rather than an adult. You can choose between two specifications for the 2019 Jimny: SZ4, which comes with a manual gearbox, or SZ5, which can be ordered with an automatic for extra cost. 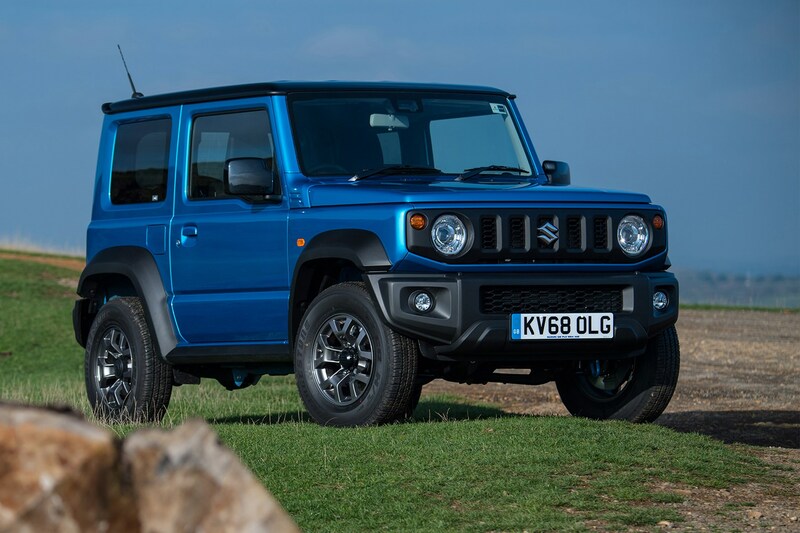 Suzuki has already confirmed that there's a long waiting list for the Jimny, and if you hadn't already ordered one by the end of November 2018, you could be waiting until early 2020 before taking delivery. 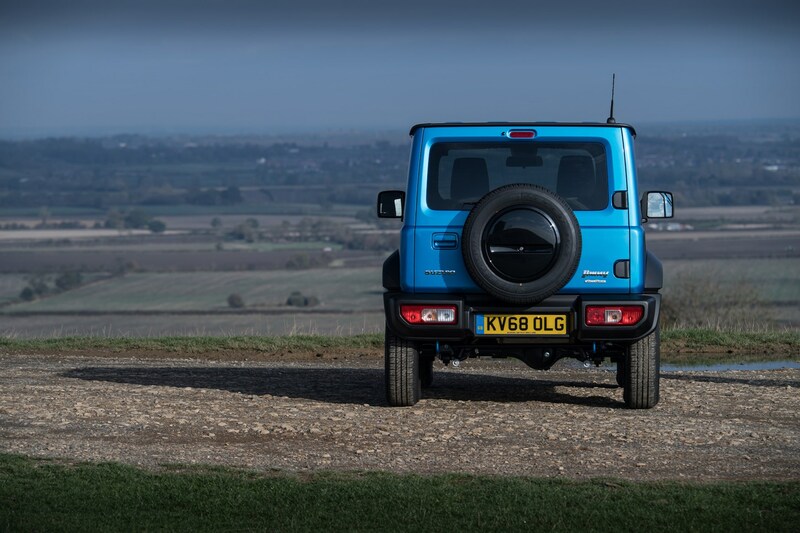 List price for the Jimny looked promising at launch, with a £15,495 entry point – PCP and PCH monthly costs weren't available at the time we drove the car. We found the Jimny a car that’s easy to love – for its off-road talents and its looks – but difficult to recommend over almost any other similarly sized SUV for its running costs and on-road driving. 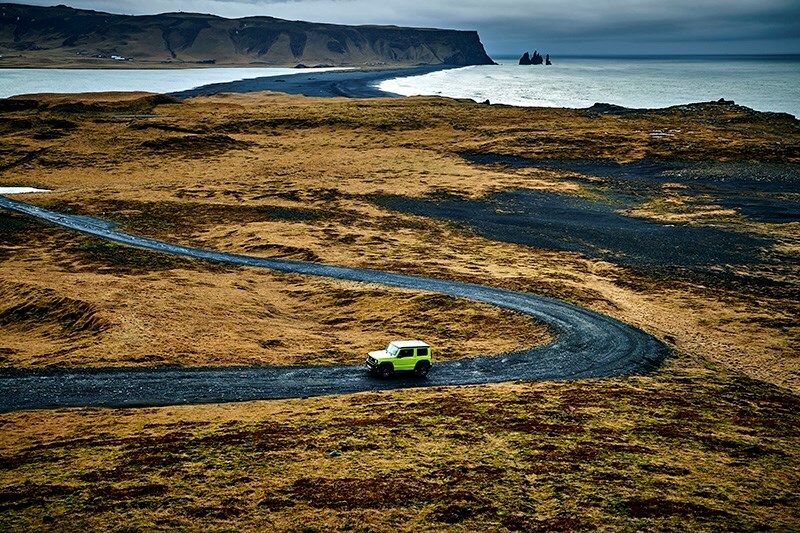 Those reservations notwithstanding, this is clearly not a car bought on rational grounds; instead it serves a very clear purpose – off-roading proficiently – which will make it appealing to a certain breed of driver. 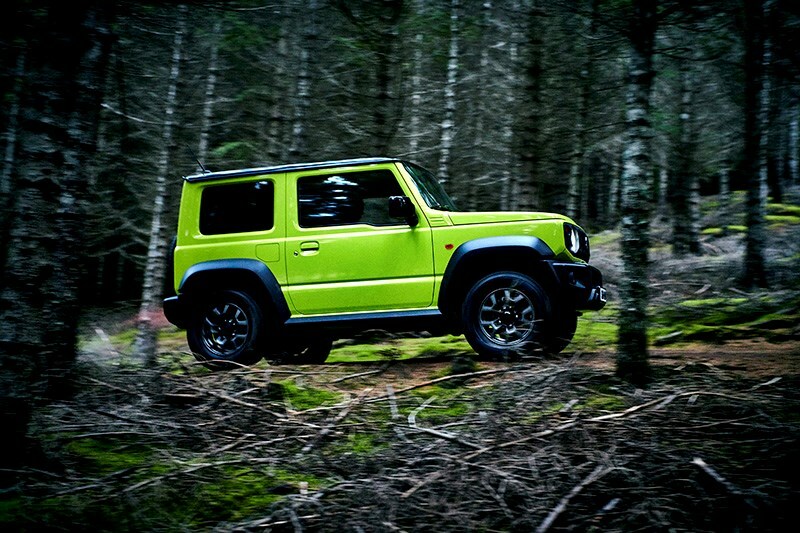 If you are one of those people, and can put up with its foibles, we reckon the Jimny is a difficult car not to love. It looks like nothing else on the road, and it really does reward senstitive and understanding drivers. It's a hard car to quantify on rational grounds, and as such, if you're in the market and considering one, you've probably already made up your mind and have placed an order. If not, when speccing-up your Suzuki, we reckon you’ll be best off with a lower-spec SZ4 and a smartphone cradle to display navigation. 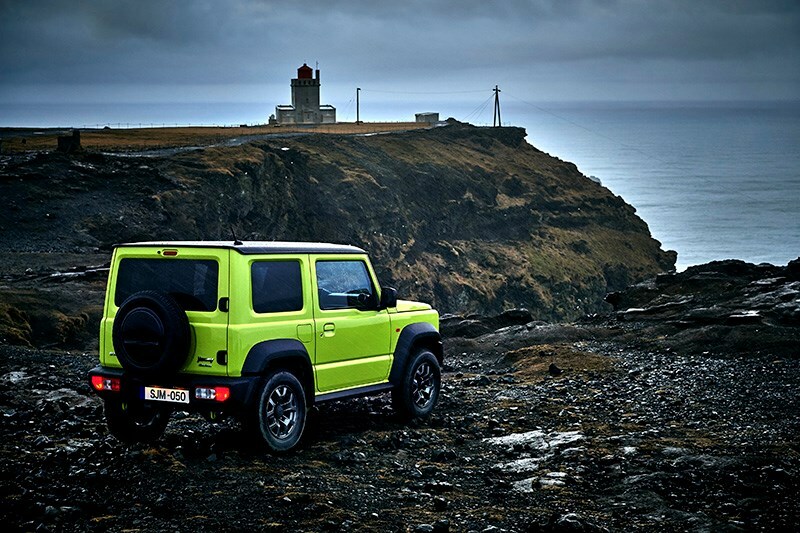 Did you know the most popular review for the Jimny range is the Suzuki Jimny SUV review.